FISCAL FORECAST: International Monetary Fund Managing Director, Christine Lagarde, doesn’t beat around the bush. Since 2000, she notes, growth has stalled in many Caribbean countries like Jamaica, and overcoming these challenges will require decisive policy decisions. 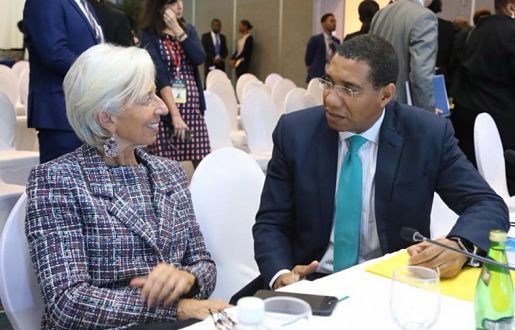 “The IMF’s ongoing policy discussions with our Caribbean partners are essential for us to find creative solutions to the region’s economic challenges, often unique to small states,” said Lagarde, who is in the island to meet with heads of government and policymakers (including PM Andrew Holness, above) for high-level talks. “For instance, the IMF is shepherding dialogue among various stakeholders to find solutions for the risks from the withdrawal of correspondent banking relationships.” To this end, she says, the IMF is more committed than ever to playing its supporting role. “The IMF has been an important partner in the region in many forms – regular ‘health checks’, economic surveillance, financial support, capacity building. The annual high-level Caribbean Forum provides a platform for regional leaders to discuss relevant policy issues. I look forward very much to participating with Caribbean leaders and other key stakeholders in the region’s future.” The sixth High-Level Caribbean Forum culminated with the launch of a new book, Unleashing Growth and Strengthening Resilience in the Caribbean. THE BIG STORY: One hardworking Jamaican journalist will win an all-expenses paid trip to Fort Lauderdale to participate in the International Reporting for an AIDS Free World workshop, which is among the activities being planned for the Florida AIDS Walk and Music Festival, set for March 17-19, 2018. According to the National Family Planning Board (NFPB), the aim is to recognize Jamaican journalists who are committed to investigative reporting on HIV-related issues. Participants are being asked to submit their print/electronic articles, YouTube documentaries, blog posts and vlogs and short stories that will be published/broadcast/uploaded between January 1 and February 28, 2018 on such topics as prevention of new HIV infections, access to quality HIV care, stigma and cultural barriers, and spreading awareness. All entries must be emailed to keepthepromise2017@gmail.com by March 1. The winner will be announced on March 5. 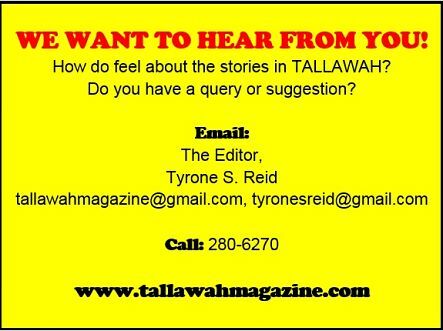 For more info call the NFPB at 968-1629.